Solaico offers surface and submersible water pumps with photovoltaic technology, they have a great variety of uses: irrigation, extraction of water, wells, irrigation by dripping, transfers of water to deposits, etc. 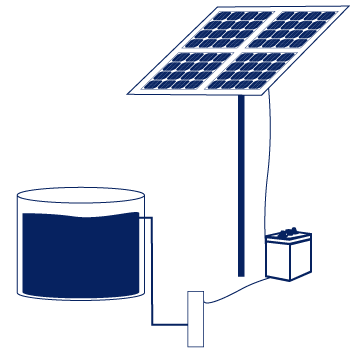 Solaico has developed through its R & D department a water purifier with photovoltaic power. An important product in many markets. Where access to drinking water and conventional electricity is very complicated. The solar water purifier can be dimensioned according to the required water consumption and is a compact, transportable and easy to use product.